I was worried that I would be asked to step down as President of The Arthur Ransome Society but some of the members think it’s hilarious. The Arthur Ransome Group on Facebook have been busy thinking up Newspaper headlines for his novels, such as ‘Soviet agent indoctrinates all British children’. Anecdotes about Ronald Fraser’s legendary drinking habits are mounting up. Spare me from being a prattler, but Ronnie would have loved this. Star of thirty post-war movies and numerous television programmes, he liked nothing more than to sit in a pub sharing scandalous stories with his friends from the press. A showman to the end, his coffin was carried by Sean Connery, Peter O’Tool, Simon Ward and Chris Evans. Can anyone tell me who took this photo? If you click on the shot you will get to my Swallows & Amazons page which has a photo of the photographer. In 1973 I worked for Post Office Telecommunications (now BT) as a local maintenance engineer. One summer’s day I had been given the job of repairing a fault on the payphone in the White Lion Hotel in the centre of Ambleside. As I pushed open the door to the bar it slipped out of my hand and the handle caught a customer in the back who happened to be taking delivery of a large drink. Ronald Fraser sounds like he was well cast for the part, the black sheep of the family who was also the favourite uncle and usually totally p-ss-ed. Ronald Fraser – a joy and wonderfully in-character as the freeloading drunk on the trans-Atlantic liner in the original TV adaptation of Brideshead. “Debauchery” implies REAL shennanigans. Ronnie was usually too plastered to do more than stand, let alone move, let alone “do” anything. I assume the word is used ironically. The Richard Steele was a proper boozer with a mixed clientele which included Anthony Booth, Rupert Davies and Eric Sykes. And a great selection of posters on the walls. I went back in there a couple of years ago and it has lost the buzz it had back in those days. Yep. I too drank with him in The Richard Steele in 1976/7. Total gentleman and a great character. He used to drink with Alan Browning. Glynn Owen was another regular and one or two others of note. I loved that film and thought it very faithful to the source book. My sister has met Ronald Fraser and as well as being a boozer he was also apparently something of a swordsman. I thought that Ronald Fraser was miscast – he was too much the buffoon and his speech impediment wasn’t appropriate to the role. I had a slightly surreal experience 10 or 12 years after it came out. It was on TV and I sat happily through it, then I put in the video of the John Hurt movie 1984. In it, the girl I’d just been watching playing Susan as a 12 year old instantly aged 10 years. It was raining in the Lake District- that’s a major surprise. One place there has recorded 200 inches of rain in a year! It’s good to find someone else who shared those lovely £sd days!! I remember the posters vividly. It was indeed largely a time of great adventure for a child at that time. As kid’s, at weekends & holidays, we often wouldn’t be seen from morning ’till evening, off exploring our surroundings. Totally unlike the generally mollycoddled, world wrapped in cotton wool that you usually see with today’s parents and their children. Great book and an excellent, very English film! Pity that Arthur Ransome was a traitorous Communistic Guardian hack! I imagine that Soviet Commissars, used to Black Sea dachas, would have found The South Lakes far too drizzly for a summer holiday. No doubt Mr Ransome would have been keen to host them. Well, you have to admit it was excellent cover for his job of reporting everything the Bolsheviks did to MI6. For those who have not already seen it, here is some behind the scenes footage of filming on that houseboat in 1973. It’s a salute to Ronnie! What’s amazing is that he made so many films and yet it is ‘Swallows & Amazons’ that is still being broadcast and purchased as a DVD. Whenever a copy comes up on eBay I am instantly out-bid. 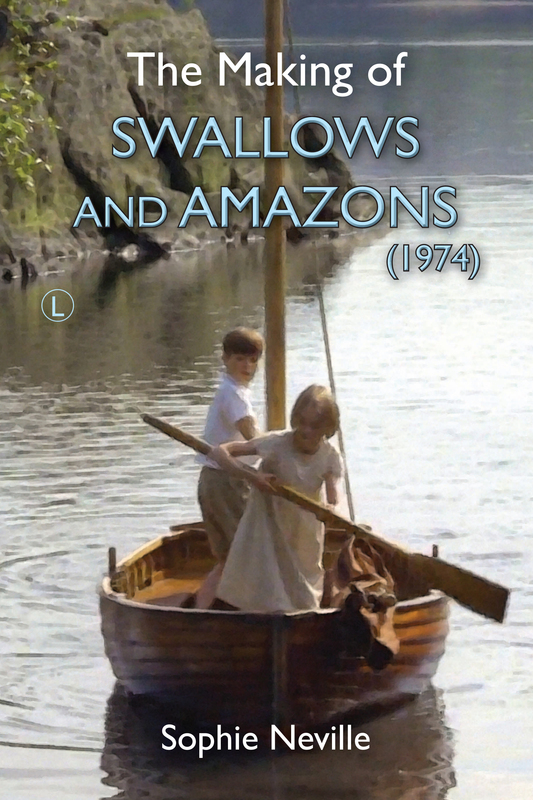 Does the film of ‘Swallows & Amazons’ look dated? Does it look 40 years old? when I last saw it the only give-away seemed to be the fabric of John’s pull-overs and some of the camera work, as the zooms must have been manual and look a bit jerky. I am sure they could do much better ‘Day for Night’ nowadays, but I thought it still looked fresh. The humour hasn’t dated. It is of a very subtle and affectionate sort. The English press love anything that smacks of debauchery or scandal, even the major newspapers these days. Matt 24 : 9 Then shall they deliver you up to be afflicted, and shall kill you: and ye shall be hated of all nations for my name’s sake. & 28 For wheresoever the carcase is, there will the eagles be gathered together. God bless you Sophie, keep going for God! I am meant to be an ‘example to the flock’! However they have not killed me yet. I spoke to a dear journalist from the Westmorland Gazette last night who was interested in the parrot. The Times got the parrot’s name wrong. He was called Beauty and feared thoughout Kendal where his owner would walk the streets with him swinging from her arm. He was a one woman bird and everyone thought me rather brave to have him on my shoulder in the houseboat, which was a really rather strange environment. His owner used his fee of £25 to buy him a new cage. l had just finished my three years at college and was at a loose end before l started my working life. 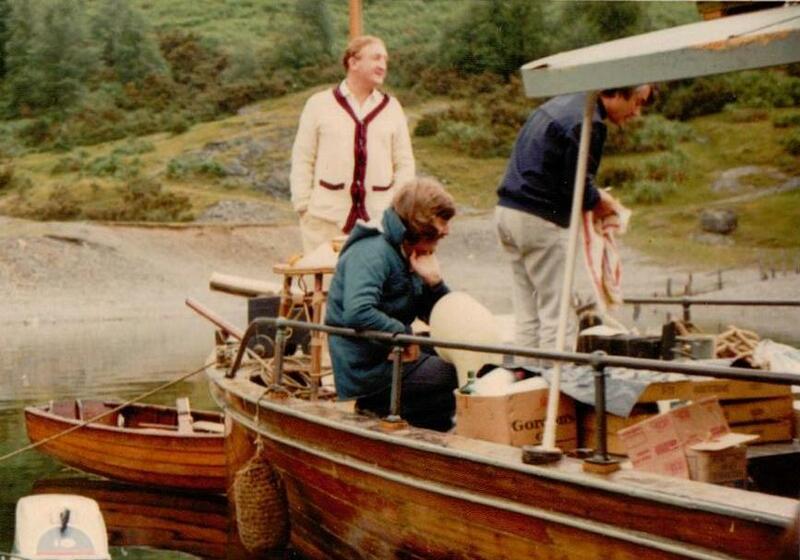 I was living in Ambleside at the heart of the English Lake District where Arthur Ransome’s children’s story “Swallows and Amazons” was being filmed at the time. I landed myself a job working for the film unit. I was full of my own importance as l was driving the stars and directors of the film. Sophie recalls how Ronnie (Ronald Fraser) was always drunk. Well this is not strictly true. 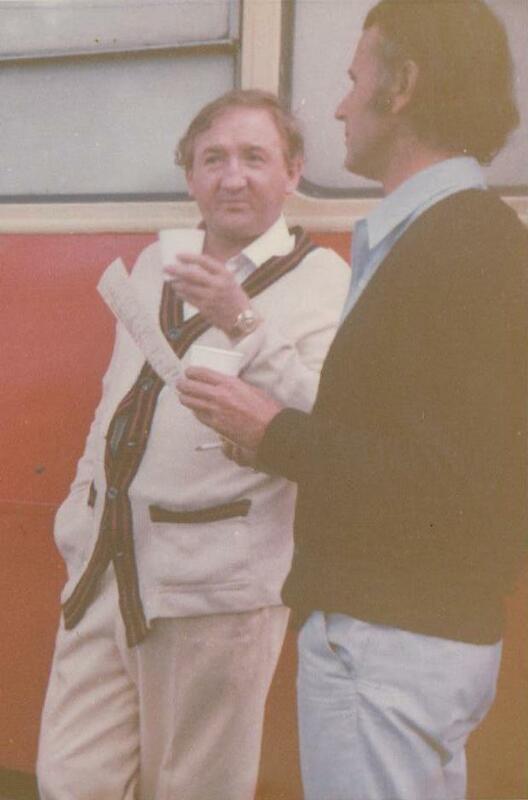 In the morning Ronnie was reasonably sober and for this reason the director Claude Whatham would try and get most of the shooting with Ronnie in the can , before the lunch hour would come around and l would be summoned to take him to the nearest hostelry. Ronnie would then order his own concoction “The Fraser’ I cannot for the life of me remember what it consisted of, but believe you me these disappeared at a rapid rate of knots down Captain Flint’s (his character) throat. By the time liquid lunch came to an end l would have to bundle him into the back of the car and deposit him back on set, much to the dismay of the producer Richard Pilbrow and the director. Afternoon shooting was often a disaster when Ronnie was involved and l’m sure he frightened the children from time to time. Well if the children were sometimes scared by Uncle Jim as Captain Flint is known to the children, then l was scared of the parrot that Uncle Jim had on his boat. The first day that I had to collect the parrot the old lady who owned him travelled with him to the location on Derwent Water. However she soon became bored with all the hanging around and after that she entrusted me with the parrot. Now birds are not really my thing and I really did not like handling him. He would travel to the location in an old shopping bag with a zipper, where l would hand him over and he would be placed in his cage. This was all well and good, then came the day that was so wet they did not use him, but instead he stayed in the production office at the Kirkstone Foot Hotel where the crew were hanging out. I was told he was in the bathroom, l expected him to be in his travel bag, but no he was sat on the edge of the bathtub looking at me. By this time he hated being put in the bag it took me all my time with a towel to catch him, finally after being scratched and bitten I got him home to his Mum. Thank you so much for writing in, David. Your story about the parrot had me roaring with laughter. I am told that he was a male parrot called Beauty, who belonged to Mrs Proctor of Kendal. She could do anything with him, but I don’t think anyone else could. I had to have him sitting on my shoulder, in the houseboat, while delivering the most important lines in the film. We were then meant to leap about singing, ‘What Shall We Do With the Drunken Sailor?’ This was a bit ironic since Ronnie was half-plastered by then. He was pretty permanently pickled. In the penultimate shot of the film, while pretending to play the accordion, he was, I’m afraid still drunk from the Wrap Party 36 hours before. I don’t know who thought up the ‘X-rated’ headline at the Times but a reporter from the Daily Express provided the receipt for ‘The Fraser’ in 1973 – I have the clipping. It talks of ‘Just a kiss of lime’. We bought the newspaper in Ambleside. Do you have any photographs of yourself at the time? or other memories? PS: The parrot was paid a fee of £25 for appearing in the film. His owner used it to buy him a bigger cage. I also remember the incident when Ronnie Frazer sang “Drunken Sailor”, I delivered him back to location from a very drunken session at The Lodore Swiss Hotel, dragging him from the bar he was not a pretty sight. Was it that the same afternoon that he had to fall into the lake? my memory is a little sketchy, but l seem to remember he was pretty far gone on that occasion as well. I had forgotten the name of the parrot lady, Mrs. Proctor, she lived in a cottage in one of the old yards in Kendal. I was scared to death of Beauty and l don’t know how you could bear to have him on your shoulder. I do have a photo at the time How do l send it to you.? I’d love to see any photos you have from that summer. Do you have a scanner at home so you can e-mail or would you need to send them by post? I could scan and return them straight away. Cannot really help out with photo’s the only one l can find is of myself, it was taken at college just before l started work on Swallow’s and Amazons. the unit nurse who was another local Ambleside Girl. I was friendly with some of the production assistants but cannot remember their names. Quiet a few hours were spent on the double decker buses that were used on location. collect the rushes then get them back to Kirkstone Foot for an evening screening and felt very privileged when l was allowed to stay and watch them. What email address can l send it to. As you’ll see this has very much been a nostalgia trip back to 1973 – the haircuts and clothes we wore, the food and the vehicles – the advent of colour tv. Reading the book should bring back more memories. You may be able to help me fill in gaps, especially in the credit lists at the front and back Do you ever see Jean McGill now – or any of the others who worked on the film. 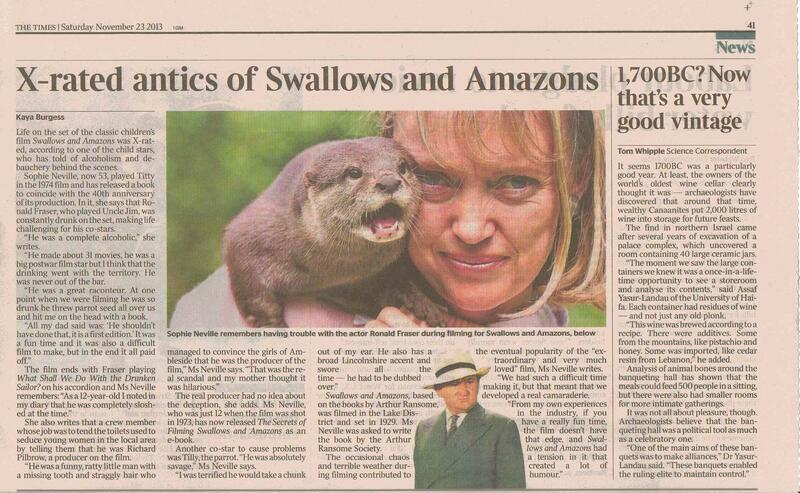 I have found what I think might be a few photos of you that were taken whilst we were filming ‘Swallows & Amazons’. did you have slightly longer hair than in the shot you sent me of you and your friends at college? Yes it is possible that l had longer hair, l had finished college and was not due to start work for P&O until September that year. I would be interested to see them.